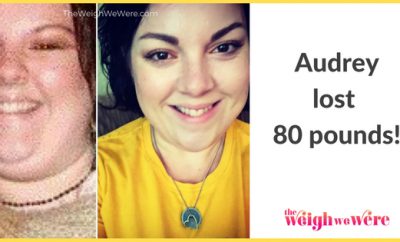 How I Gained It: I have struggled with weight issues my entire life — in fact, my weight started spiraling out of control when I started grade school. I used to stay at a friend’s house after school until my parents got off work. I would eat dinner there, then come home and eat a second dinner. By 9 or 10 years old, I was overweight and wearing husky clothes. But I really started to pack it on in high school. Once I had my own car, I could get fast food any time I wanted. My parents were never home so we kids fended for our dinner most of the time. Working at McDonald’s didn’t help, either — we ate anything we wanted. I was tipping the scale at about 240 by the time I graduated high school, and I had started smoking to boot. But that wasn’t even the tip of the iceberg. I went wild in college: For four years I stuffed my face with all-you-can eat wing nights, Chinese buffets and enough beer to last me a lifetime. When I graduated college, I weighed close to 300 pounds, and I stayed there for a while. Breaking Point: While buying some new pants for work, I came to the realization that my 46-inch waist was beastly. How the hell had I let my weight and health get so far out of control? I was also smoking a pack of cigarettes a day, and I had recently started having bouts of dizziness, weakness and fatigue. I went to a neurologist about the dizziness. She told me I had poor posture and it was putting pressure on nerves in my neck, so she sent me to a physical therapist, who recommended I join a gym to work those muscles. I played football in high school, so I’d had lots of experience lifting weights in gyms before. But when I joined the gym this time, something changed. 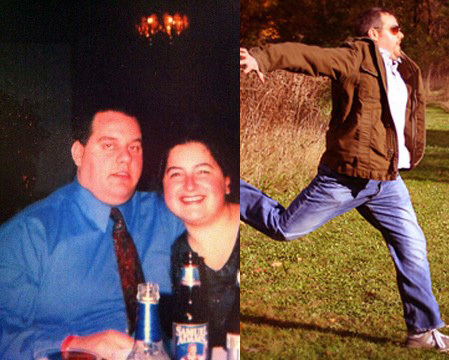 How I Lost It: Once I joined the gym, I changed my life completely. 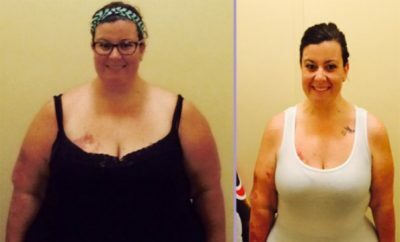 I quit smoking and lost more than 100 pounds. It’s rare to quit smoking and lose weight — it’s usually the exact opposite. But I knew my life had to change. Losing weight was all about my lifestyle, and I realized that lifestyle was going to have to change for good, not just for a temporary period. I needed to change the way I ate, thought and moved. One of the first steps was finding thing to do. I needed hobbies to take my mind off the food cravings. So I started reading books, going for walks, surfing the Internet — basically whatever it took to get keep out of the cupboard or fridge. Music and my iPod saved me. I also stopped drinking sugar-filled soda and eating fast food. Instead, I load up on lean healthy protein like chicken, unsalted nuts and low-fat cottage cheese. I also supplement my protein intake with extra whey powder. And I eat lots of fresh fruits and vegetables. My favorites are berries and fresh spinach, which I combine together to make incredible salads. Instead of filling up on three big meals, I eat six smaller meals a day: breakfast, lunch, dinner and three snacks in between. Breakfast is usually plain oatmeal with strawberries, some almonds and a cup of green tea with honey. Lunch is often a whole-wheat turkey sandwich with broccoli and maybe some baked chips. Dinner will be something like balsamic chicken with steamed veggies. Snacks include things like low-fat and low-sugar yogurt, baby carrots, bananas, cottage cheese or granola. I also take a multivitamin and omega-3 supplements daily. Most importantly, I work out. The more muscle I have, the more fat I burn at rest. I work out four times a week — that’s three weight training sessions and one cardio session. I do a full body workout every time I go to the gym, working every major muscle group: chest, back, legs and arms. Each of my workouts lasts about an hour with my cardio session lasting 45 minutes. I don’t think of this as a diet. It’s a change to the way I live my life. My late father used to tell me, “Bub, you eat to live, not live to eat.” He was absolutely right! Philip has maintained his weight loss for more than three years now. 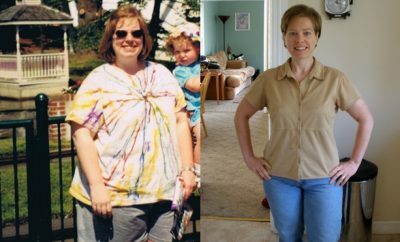 Michelle has made an amazing transformation by taking her body weight from 170 Lbs. down to 135 Lbs.